I am sure lots of you have heard her name or have seen her amazing art, but for those of you who haven't, you are in for a for a real treat! 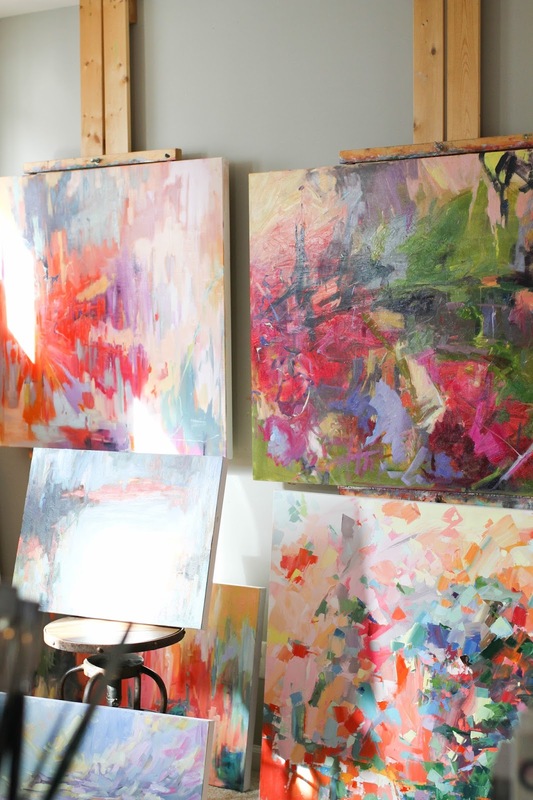 Marissa was born and raised in Montana, but she is currently living her dreams behind the brush in Charleston SC. Marissa studied graphic design / fine art at Montana State University, and since moving to Charleston, Marissa has been recognized by Charleston Magazine as Artist of the Month in July of 2013 and Art Galleries and Artists of the South as Emerging Artist for the month of October in 2014. 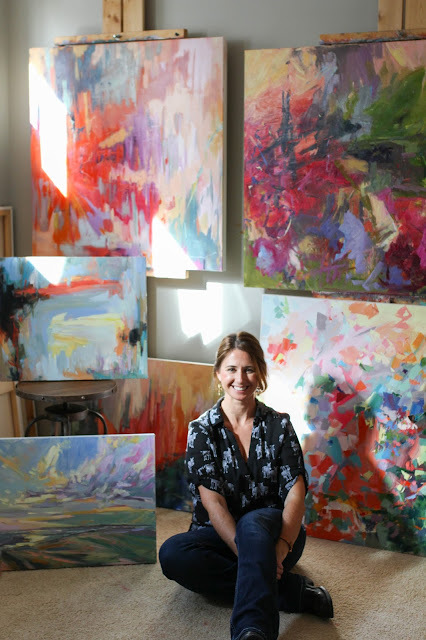 While Marissa is known for her contemporary landscapes, her newest abstracts have really stolen my heart. 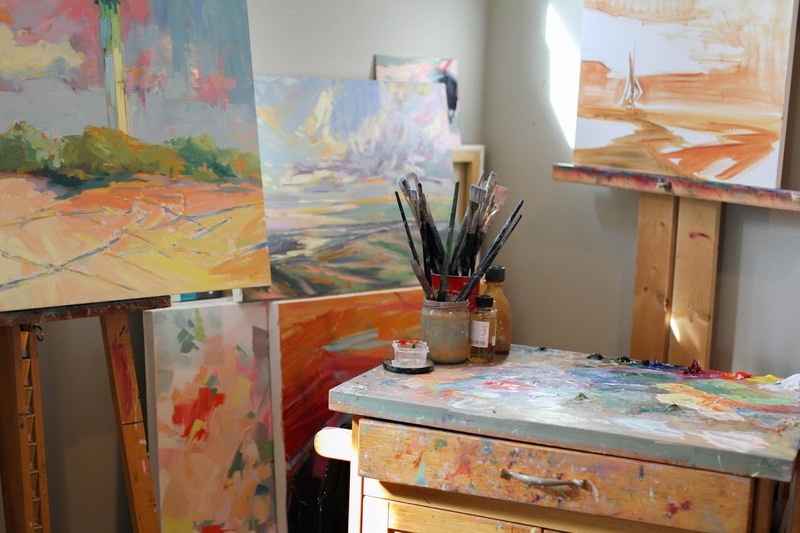 So, when Marissa invited me over to her studio to get a peek, I couldn't get there fast enough! I was completely blown away at all the beautiful pieces, and I loved hearing about where all her inspiration comes from. I could have seriously stayed there all day staring at her work and chatting with her about kids, art, and everyday life. 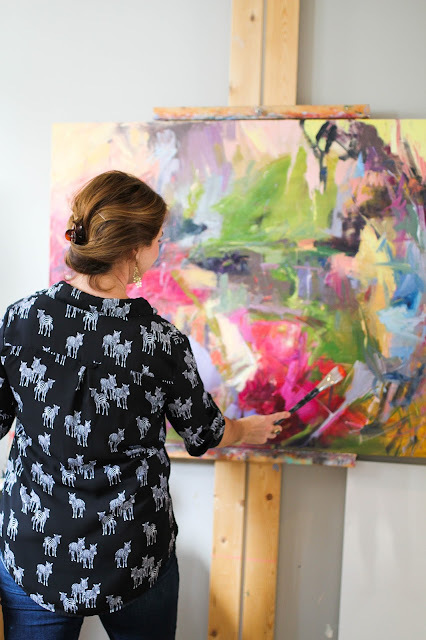 And for all of my local readers, I have some really exciting news.....Marissa has partnered up with artist Laurie Meyer to bring a fresh, sophisticated art gallery to downtown Charleston. The Gallery will open Spring 2016!!! Meyer Vogl Gallery at 122 Meeting Street (across from the Mills House). You better believe I will be there when the doors open! I am so excited and so proud of you Marissa! I have a feeling in a few years I'll be saying......"I knew her when." 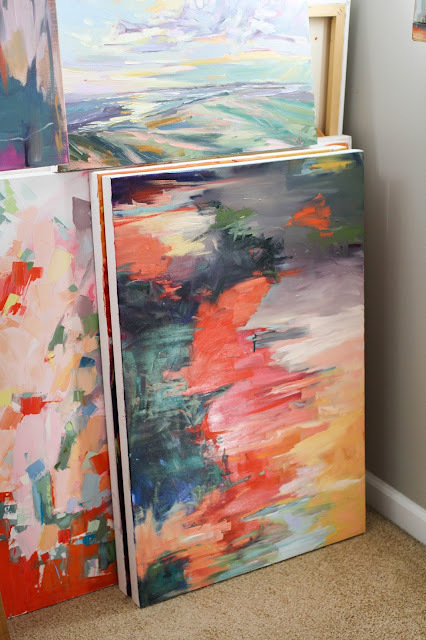 For all my readers who aren't local, you can order her art here online and have it shipped. Thank you Marissa for allowing me to visit your studio and for making my girl crush grow even bigger!